Towing winch is known as the winch usually installed on a boat to tow another boat. It consists of drum, brake unit, clutch, wall frame, base, spooling device, drive device, control device and so on. 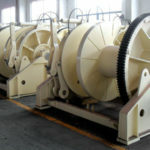 It is mainly used to connect tug boat with the towed boat, bear the corresponding load, and meanwhile it also used to reel, release and store rope. 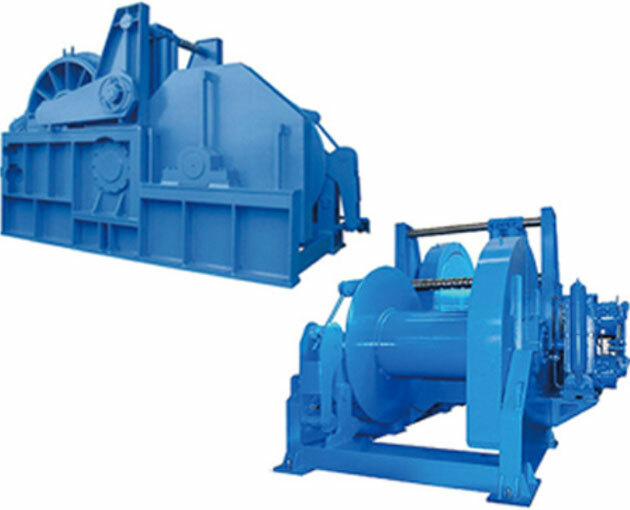 As marine towing equipment, the winch plays an important role in towing boats or ships on sea. 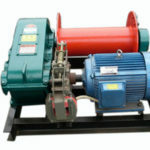 The winch can be equipped with gypsy wheel and warping head as per needs. 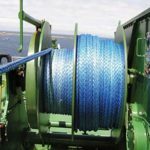 The spooling device is important for the winch to make sure the rope is placed without twisting or kinking. 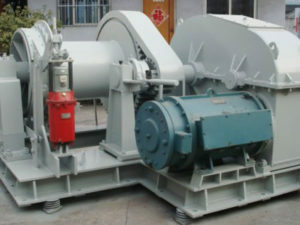 Classified with drum quantity, it contains single drum towing winch, double drum winch and multiple drum winch, and they are designed and produced complying with specific needs; for the double drum winch, the two drums can be on the same side, that is both on the right side or left side of the winch, or they can be designed on the different sides; for triple or multiple drum winch, the drums can also be on different sides according to needs, that is, the gearbox or drum drive device can be on the right or left side or in the middle of the drum. 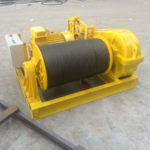 Classified with drive power, it is divided into electric towing winch, hydraulic towing winch, diesel winch and steam driven winch; large towing winches generally adopt hydraulic power drive. 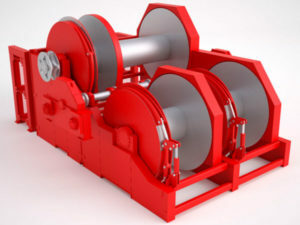 The main basis for designing towing winch is the maximum bollard pull, which is the pull generated when the main engine of the tug boat is with the maximum output power; other main performance parameters of the winch towing are directly or indirectly determined by the maximum bollard pull, such as drum rated load, rope diameter, drum diameter and support load. 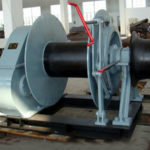 The load limiting device should be set for the winch, and the maximum setting value of it is 50% of the breaking load of the adopted wire rope. 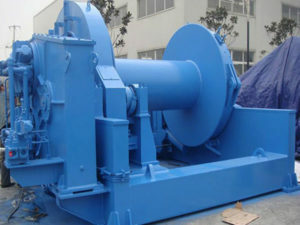 The winch has load measuring, rope speed and length measuring device. Interested in our towing winches? or want the best prices? During towing operations, the use of friction clutch ensures that the winch drum can be disengaged without endangering other driving parts of the winch, which is very important in the process of the towing situation. The winch speed should be regulated gradually between stop and the maximum speed. No matter what power mode the winch adopts, if the control device is manual control, it should be designed as: when the operate released the controller, it should return to the stop position automatically. Our towing winches are designed by professional engineers in accordance with standards. 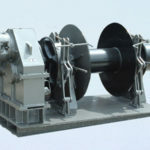 If you are interested in our towing winches and want to get more details about the towing winch for sale, just contact Ellsen company, which has much experience in providing marine winches for tugging for many customers from different countries. We provide towing winches electrically driven, hydraulically driven, and diesel engine driven and also supply electric-hydraulic combined winches as clients need. Towing a boat safely requires the proper winch and a lot of towing knowledge. Given the chance, Ellsen will provide you with best service and high quality tugger winches for your towing operations during every possible towing situation. To buy towing winches from us with competitive price, you just need to contact us and tell us your requirements on the winches.